Fifteen years ago, I stepped into my classroom excited and full of energy. I couldn’t wait to change lives and make a difference. Then several years in, I started to burn out. I felt frustrated that my students didn’t seem to put in as much effort as I did, and I was exhausted. Kids weren’t turning in assignments. They were losing materials. Sometimes I was lucky if they showed up to class with a pencil. I soon realized that the kids weren’t going to change if I didn’t. I had to shift my focus. Motivating middle school students to care about their grades involves a lot of shifting: shifting our focus, shifting our language, shifting the way we grade, and shifting our mindset. Here are some of my lessons learned. This might sound contradictory; however, the first step in motivating middle school students to care about their grades is to shift the focus away from grades altogether. By the middle school years, many students become somewhat desensitized to grades. They label themselves as a single grade and start to believe that movement isn’t even possible. Why would students care about grades if they can’t change or control their number? 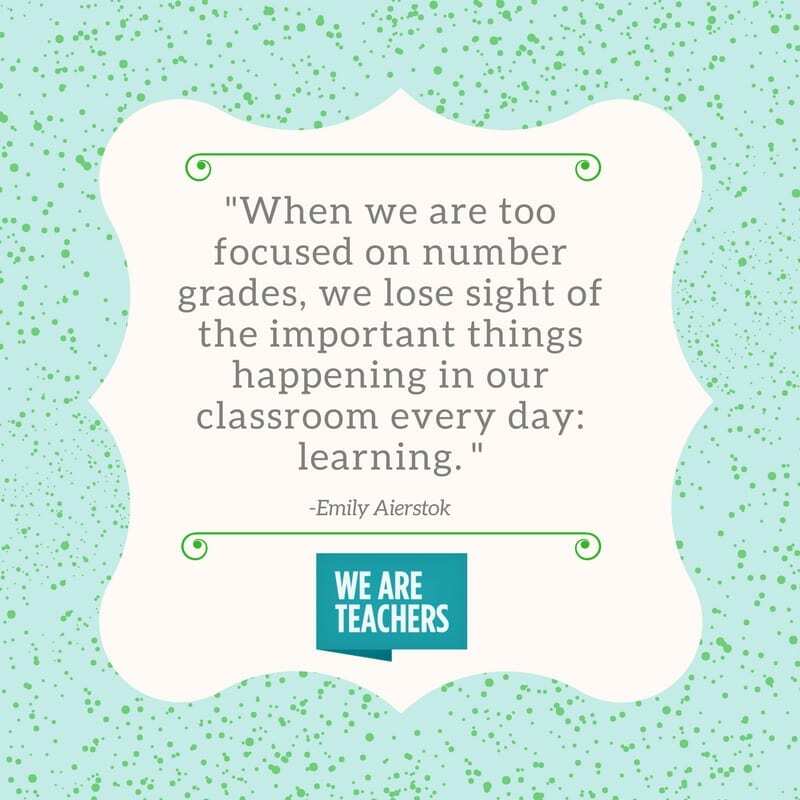 When we are too focused on number grades, we lose sight of the important things happening in our classroom every day: learning. When we teach students to notice growth in their learning, we help them shift their focus and look beyond the numbers on a paper. Help your students focus on their learning and growth. The grades follow. Growth mindset is all the rage and for good reason. Teaching students (and ourselves) to shift from a fixed mindset, where student intelligence cannot change, to a growth mindset, where students have control of their learning, can change a child’s educational experience. Our students often come to us with labels—the smart kid, the failure. Labels are fixed. 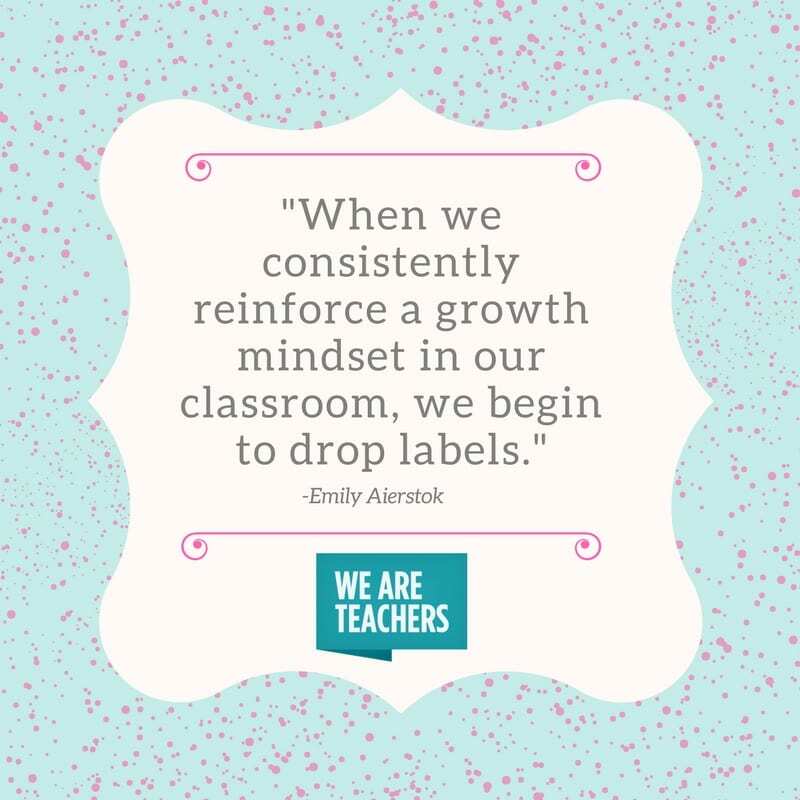 When we consistently reinforce a growth mindset in our classroom, we begin to drop labels. A growth mindset encourages the belief that with hard work, students’ grades will have movement. Growth mindset levels the playing field so all students and their teachers develop the understanding that with hard work, students will become better at the skill they are practicing. Word choice is powerful and important. We define our students through language, and they often define themselves this way too. In my classroom, we use words side by side with a five-point grading scale. The words are carefully chosen to show that students can move within the system with hard work. For instance, we use levels like mastery, grade appropriate, almost there, developing, or needs improvement. When we’re motivating middle school students to care about their grades, students need to know and believe that they have the chance to grow. Our choice of language should reflect the opportunity for growth. I’m not exaggerating when I say that making the switch to standards-based grading has transformed my students’ relationships with grades. 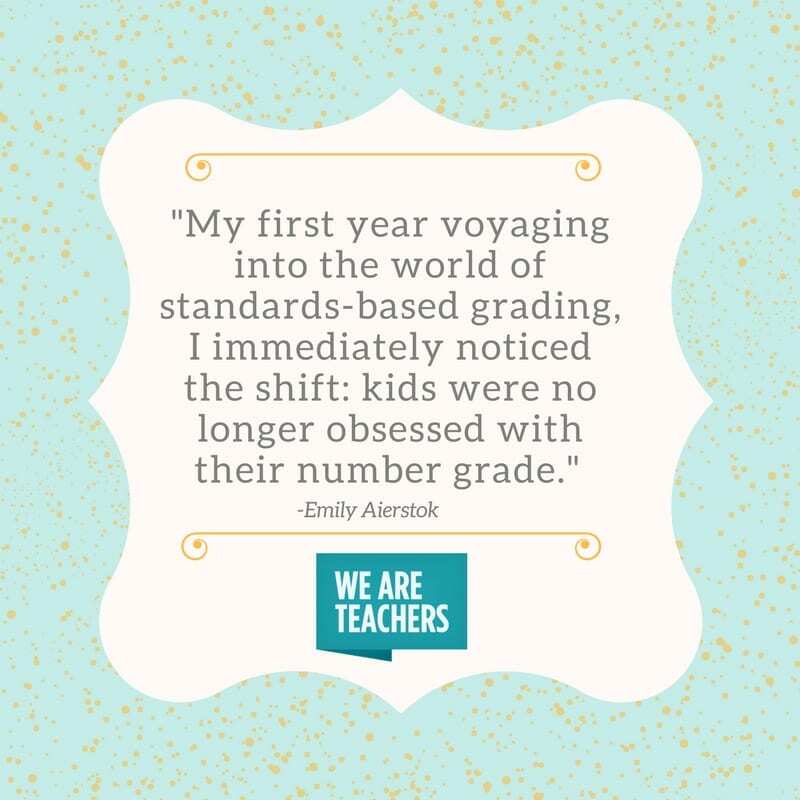 My first year voyaging into the world of standards-based grading, I immediately noticed the shift: kids were no longer obsessed with their number grade. They started to truly care about learning. No longer was I measuring student’s performance in my class based on behaviors or habits. I began to focus strictly on skills and standards. Most empowering was that students now had the freedom to retake, retest, and rewrite assignments. As a result, the quality of student work improved and their grades actually went up. Focusing on very specific standards helped me to maintain grading too. Knowing exactly what I was looking for in a piece of writing or having a focus standard to measure on a test helped me simplify what can sometimes be a daunting task of grading and regrading work. Parent communication became easier as well. Overall, grading became specific, easily measurable, and meaningful. If you’re a middle school teacher, you certainly know this scenario: you hand back a stack of papers you spent your entire weekend grading and providing feedback on only to find half of the papers in the recycling bin by the end of the day. If we want students to care about their grades, we have to make sure that they actually process their grades and understand the significance of the numbers. A simple form at the front of a student’s binder where they can physically copy down each grade you turn back to them and where they track their retake grades can easily do the trick. Several times per grading period, I instruct students to calculate their averages and translate them into words. Students’ translated word grades give them meaning, direction, and purpose. 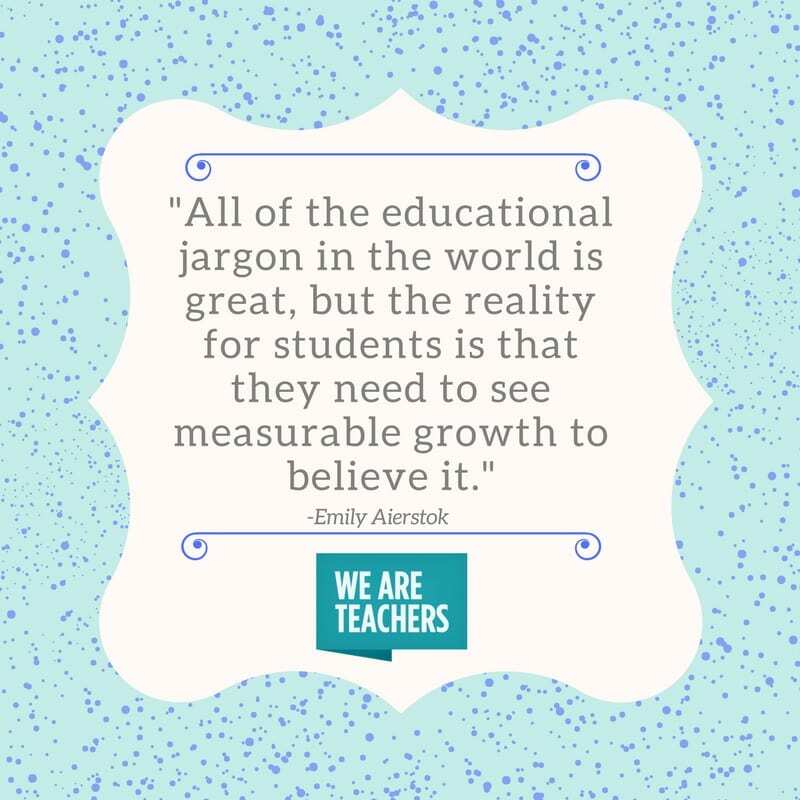 All of the educational jargon in the world is great, but the reality for students is that they need to see measurable growth to believe it. Growth portfolios are the perfect place for students to maintain physical evidence of their growth and learning. In my ELA 7 class, students maintain growth portfolios all school year. At the end of each quarter, students clean out their work so their binders reflect their individual growth and learning. Students complete a reflection describing the standards they have mastered and the standards they need more work on. At the end of the school year, students present their learning to the class using a document camera and their portfolio work in place of a traditional final exam. I can see concrete evidence of each student’s achievement through their portfolios of work. Grading must be transparent to students. I have found that one of the best tools for grading transparency is a good old fashioned rubric. On tests, I group questions by standard with a short, simple rubric after each question set. In my class, rubrics are handed out to students with each assignment. Before I assess with the rubric, students use them as a tool to revise and edit their work. They give themselves a grade and make revisions based on the rubric descriptions. Next, peers use the rubric to provide specific feedback to fellow students. Finally, I use the rubric as a method of providing final feedback to students. It is essential that rubrics are either student friendly or student created. If students cannot understand the rubric, they won’t understand the grading of their work. If we can help students at all levels to recognize the excellence in themselves, think of what they could accomplish. 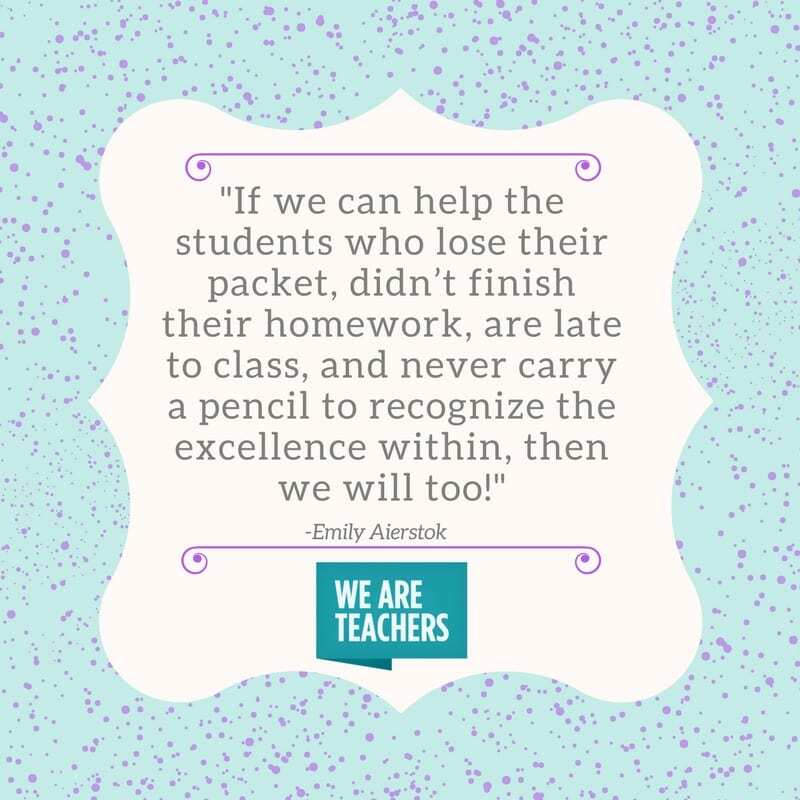 If we can help the students who lose their packet, didn’t finish their homework, are late to class, and never carry a pencil to recognize the excellence within, then we will too! Motivating middle school students to care about their grades can seem like a daunting task. Our job is exhausting and using our own energy to energize students can be especially draining. However, with a few simple shifts over time, students can and will care about their grades and, more importantly, their learning.